DPCI provided Adobe Digital Publishing Suite consulting services to facilitate the launch of Foreign Affair’s premiere iPad application. 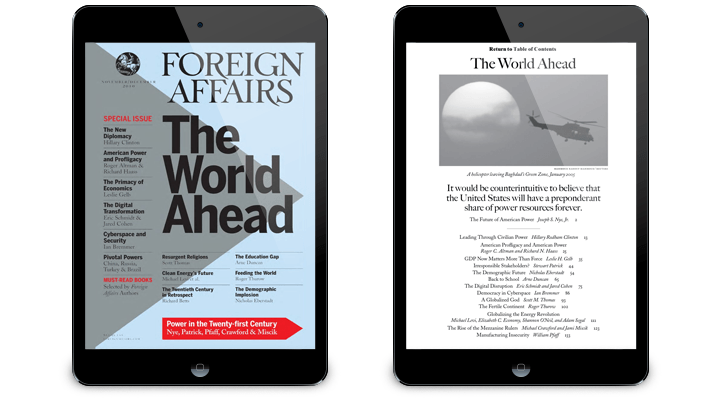 The Council on Foreign Affairs wanted to launch a digital version of Foreign Affairs magazine for current subscribers and potential customers to view on Apple’s tablet devices. Foreign Affairs selected the Adobe Digital Publishing Suite (DPS) Enterprise Edition to create customized, interactive content for the tablet application through Adobe InDesign. DPCI was retained to provide Adobe DPS consulting services to facilitate the launch of Foreign Affair’s premiere iPad application. DPCI worked alongside the digital publishing team at Joe Zeff Design, the agency retained by Foreign Affairs to design the interactive, digital edition of Foreign Affairs magazine on the iPad. DPCI’s Adobe certified consultants guided Foreign Affairs’ technical staff through the Adobe Digital Publishing Suite production workflow from start-to-finish to ensure timely delivery of the application. With the help of DPCI, the Foreign Affairs team established necessary roles and permissions for editors, designers and technical staff members to create, manage and edit the assets bundled into the application. Next, DPCI assisted the magazine’s digital content creators with the configuration of the app and customization of the navigation toolbar to improve the user experience for existing subscribers and potential customers. In addition, DPCI provided best practices to guide the Foreign Affairs team in the integration of the Adobe Digital Publishing Suite with the magazine’s print subscriber entitlement database. 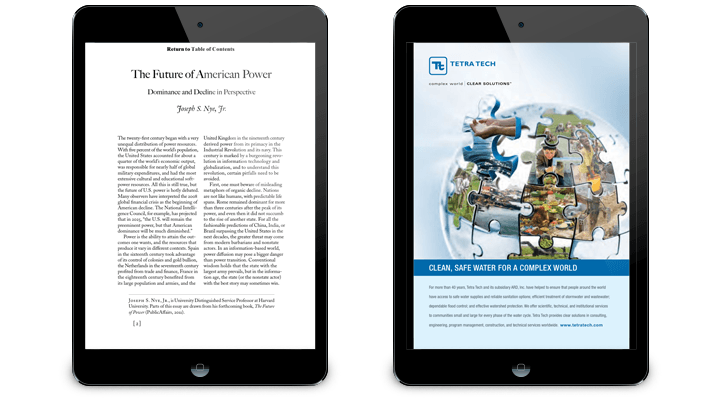 Prior to the launch of Foreign Affairs’ debut iPad publication, DPCI quality assured the application’s assets in accordance with Adobe DPS and Apple specifications. This included review of all icons, splash screens, subscription tiles and banner assets for display and usage on both standard definition and high definition (retina) devices. 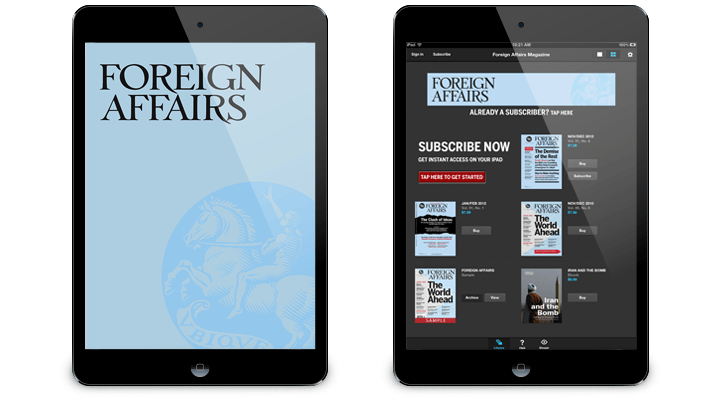 The Foreign Affairs tablet application successfully launched in the Apple App Store in November of 2012. Within the allotted timeframe, DPCI helped the Foreign Affairs team to implement an iOS Newsstand entitlement and subscription app and prescribed a simple production workflow for the magazine’s staff to update the app with future issues of the digital magazine.